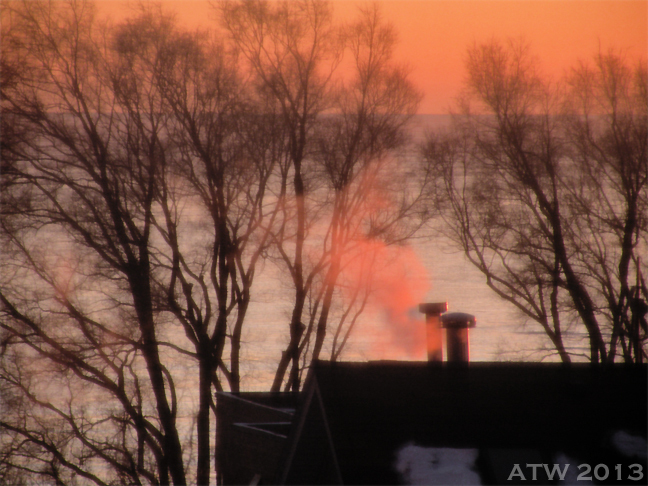 This entry was posted in 2013, Christmas, Color, Digital Photography, Lake Michigan, Photo correction, Photo Manipulation, Photography, Photoshop, Street Photography, Winter and tagged Chimneys, Rogers Park neighborhood, Sunrise, Water, Waves, Wintry Sunrise. Bookmark the permalink. 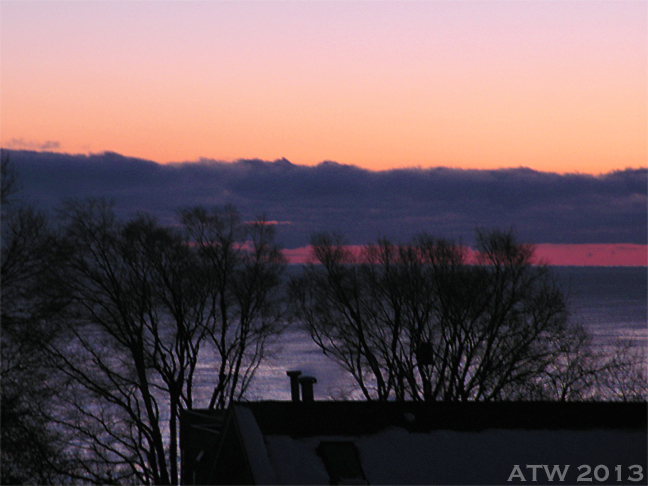 But, beautiful is, perhaps, not the suitable words for these photos. Thank you very much, dear friend…and my heartfelt greetings to both you and your wonderful Mother during this joyful season! Beautiful photos 1000…really excellent. Hope you and your family have an excellent and peaceful Christmas and a prosperous New year also! Feeling badly I’ve not gotten to ‘the’ painting yet this week, smacked…and tomorrow is an MRI of my lower back, which I have to kind of psych myself up for (a bit scary!). Thanks to you and Shirl for the love I feel across these many miles, not only at Christmas, but all through the year! That means more than GOLD!